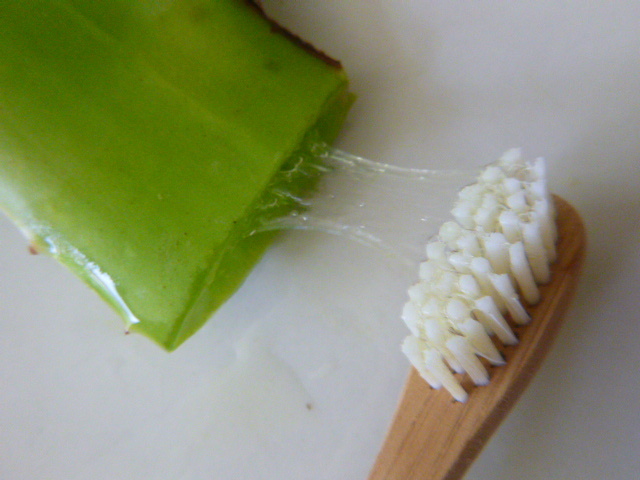 Aloe vera is excellent for gum health, and it even froths up like toothpaste. It contains substances that help to heal mouth ulcers and relieve receding gums, and it kills the bacteria that cause tooth decay. It’s an easy plant to grow, and one leaf will provide many nights of teeth brushing. It’s cheap, free of chemicals and doesn’t need plastic packaging! I learnt how to do this from Isabell Shipard‘s comprehensive Australian book ‘How Can I Use Herbs In My Daily Life?’. 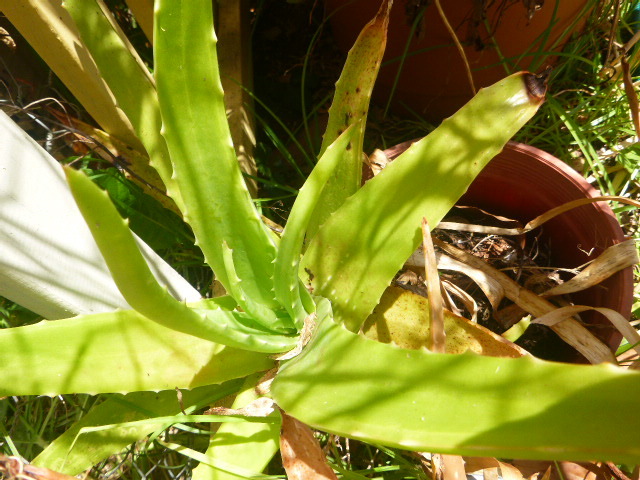 She discusses many other uses for aloe vera, besides brushing teeth and applying to sunburn. See my other favourite herbals here. My aloe vera plants are a bit burnt-looking from lack of water. They’re struggling along in pots that are too small, and often dry out. But they’re still alive, proving how tough this plant is! Cut a leaf and stand it to drain the bitter yellow sap out. It lies just under the skin of the leaf. The sap is a laxative and can upset your tummy if you eat too much of it. We won’t be eating the toothpaste so it doesn’t matter too much, just drain most of it. You only have to do this once. 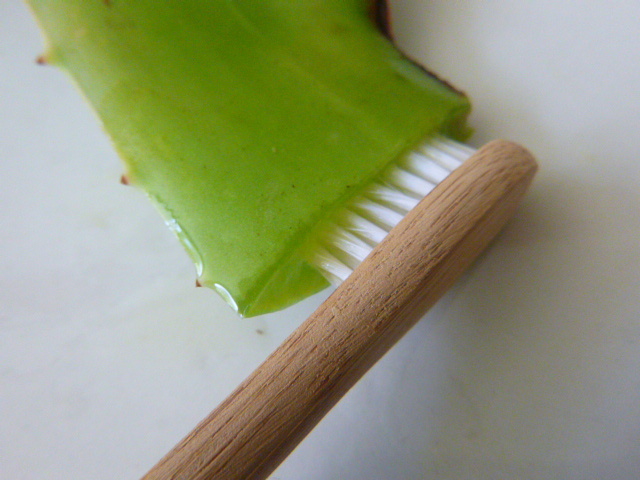 This will break the gel inside the leaf, leaving your toothbrush coated in clear slime. Mmm! Brush your teeth as normal. 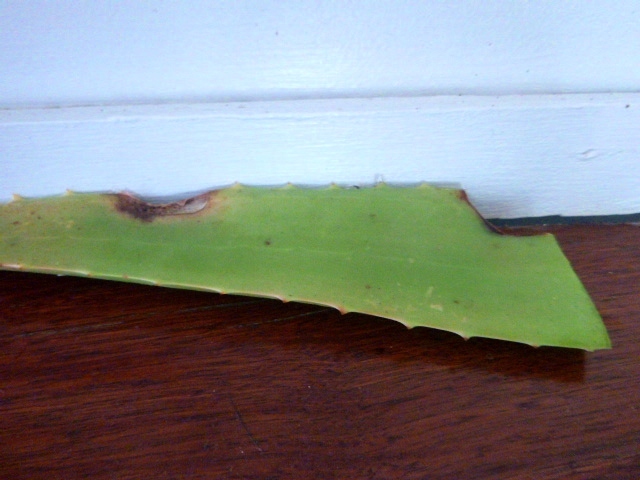 The natural saponins in the aloe vera will froth when you brush. Bubbles! Spit and rinse. 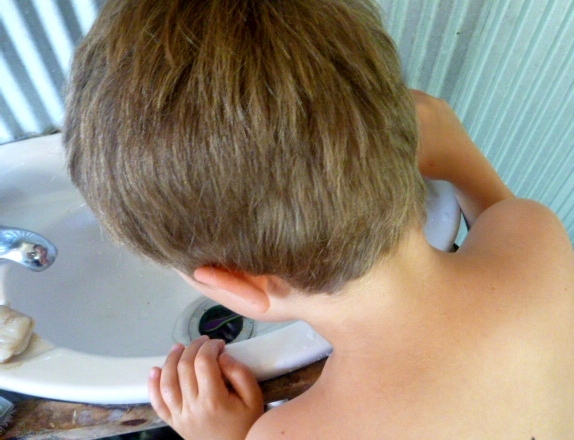 My son didn’t like the slight bitter taste of the aloe gel, and quickly spat it all out. Oh well. Leave the leaf in the bathroom. The cut end will heal over. Next night, cut the end off again to expose fresh wet leaf. Repeat until you’ve used the whole leaf. If you’re travelling, wrap the leaf in a paper bag to keep it clean and stop the gel from leaking onto stuff. How easy is that! 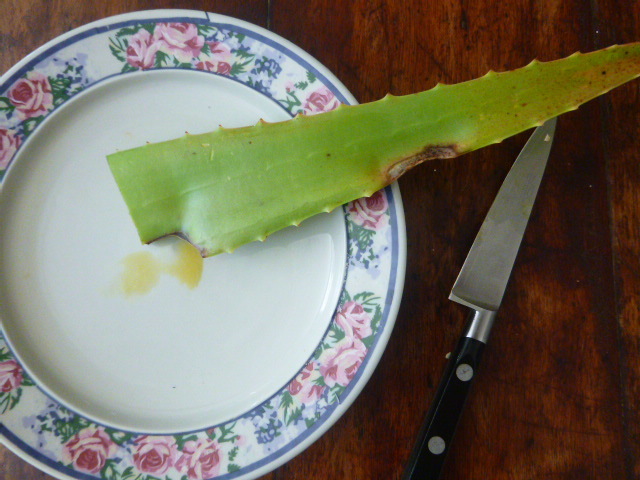 Aloe for your teeth. What interesting uses do you have for herbs in your garden? Thanks for that Rachel, never heard of this one before. what a great idea! Love the wooden tooth brush too. I love this suggestion, especially as I have been looking out for an alternative to buying commercially produced toothpaste. My only question is, how do you keep up the supply of aloe vera leaves? Thanks. Yes, it’s a great plastic-free option for toothpaste. I don’t use this every day; some days I use no toothpaste, or a bicarb and coconut oil mix, or aloe vera. A single leaf can be used for several weeks, depending on how long they are. Aloe vera plants grow easily with little care once you get some pups (offsets of leaves). Number of plants required would depend on how large they are in your garden. Thanks Rachel, it sounds like you are good at being adaptable and trying different things. Very inspiring! Great idea. 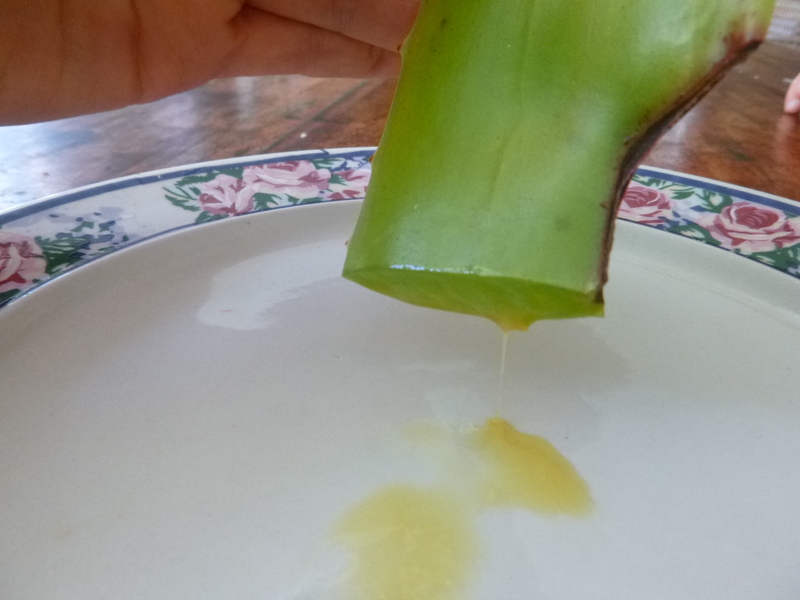 Aloe Vera is also incredibly good for skin, especially for healing it, but also good in general. Great posts by the way.